You cannot hold down people&apos;s insatiable desire for shiny objects forever. Especially when they sense a bargain&apos;s to be had. Hordes of buyers in India, Hong Kong, Dubai and Singapore hungry for somewhat cheaper gold filled jewelry stores, thereby saving John Paulson from seeing his fortune fall by another few hundred million dollars today. 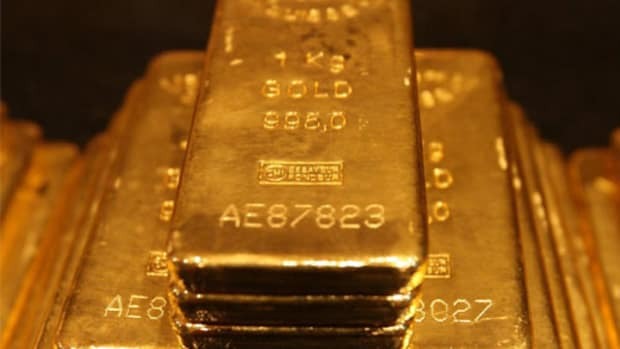 Gold prices bounced back from the biggest one-day drop in 30 years amid signs that lower prices were luring buyers of bullion, coins and jewelry. Gold for April delivery, the front-month contract, rose $26.20, or 1.9%, to settle at $1,386.80 a troy ounce on the Comex division of the New York Mercantile Exchange. Prices briefly broke above $1,400 an ounce early Tuesday, before falling back in heavy trading…. In India, the world&apos;s biggest consumer of the metal, jewelry stores were packed with customers eager to take advantage of the lower prices. Hong Kong and Dubai also reported a jump in jewelry sales, and Singapore bullion dealers worried about running out of gold coins and bars. But some investors are skeptical of betting on a lasting rebound, said Kurt Pfafflin, a gold analyst and author of the Gold and Silver Speculator report. "What we&apos;ve seen is an unprecedented move," Mr. Pfafflin said of this week&apos;s selloff. "One that has shaken investor confidence to the core."